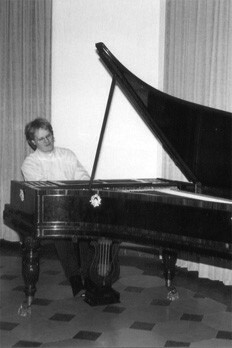 A very important part of his artistic activities is also performing music on period instruments. 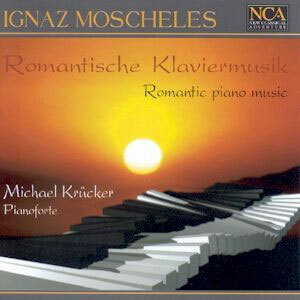 For the label NCA Michael van Krücker has recorded several CDs on French pianofortes of the romantic era that have been considered by the critics with the highest praise. "This is a wonderful CD." 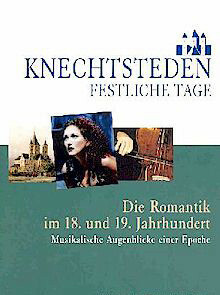 He appeared at the "Festliche Tage Alter Musik Knechtsteden", the "Friedenauer Kammerkonzerte", the "Kulturfeste im Land Brandenburg" and played together with Chorus Musicus Köln, the Rheinische Kantorei, Rene Berman (viola da gamba) and the singers Barbara Schlick, Christiane Oelze and Klaus Mertens on period instruments. 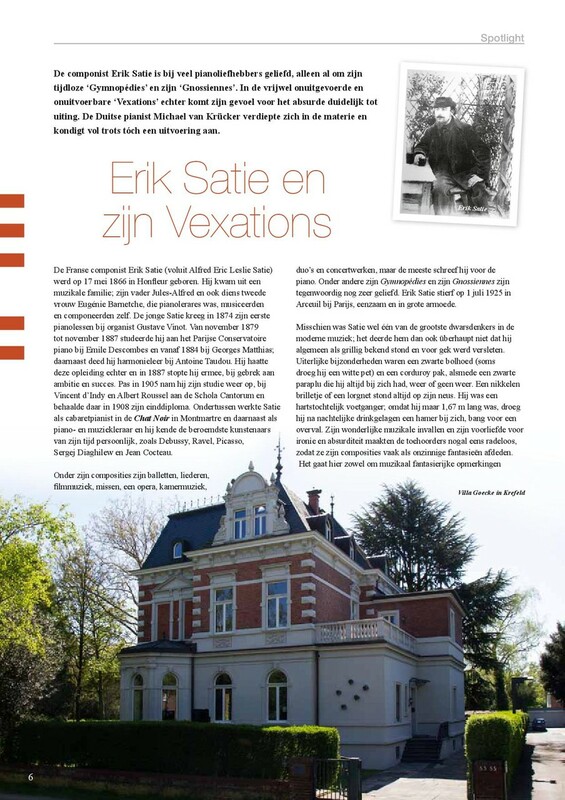 "Although Moscheles put his advance primarily down to his own progress, it was certainly influenced to no small degree by the improvements in the pianofortes from Erard." 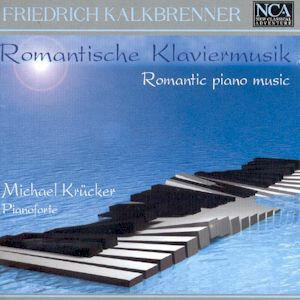 The pianist Friedrich Kalkbrenner was a partner in the Pleyel piano manufacturing company founded in 1807.n 1807. 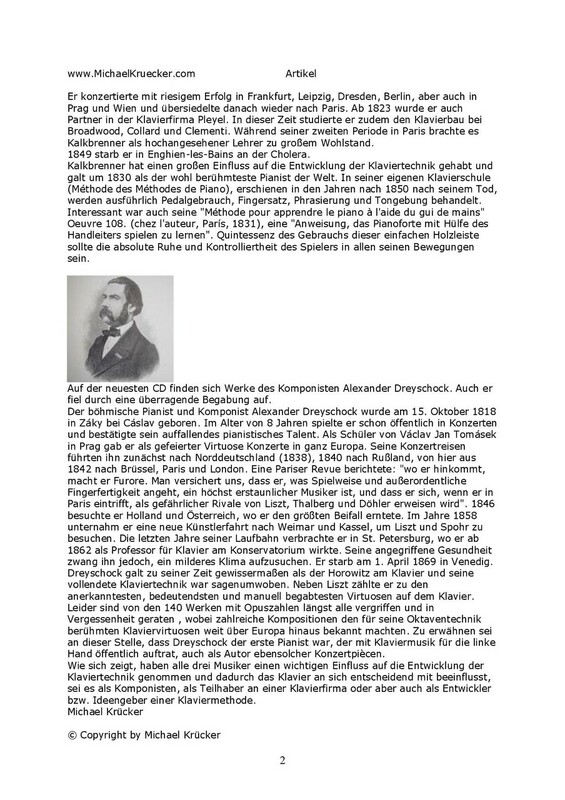 Dreyschock's fame as a 19th century pianist could perhaps best be compared with that of Horowitz almost 100 years later. 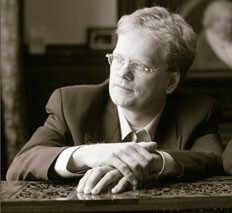 His faultless piano technique was legendary and he vied with Liszt as one of the most important, most celebrated, and manually most gifted piano virtuosos of his day. 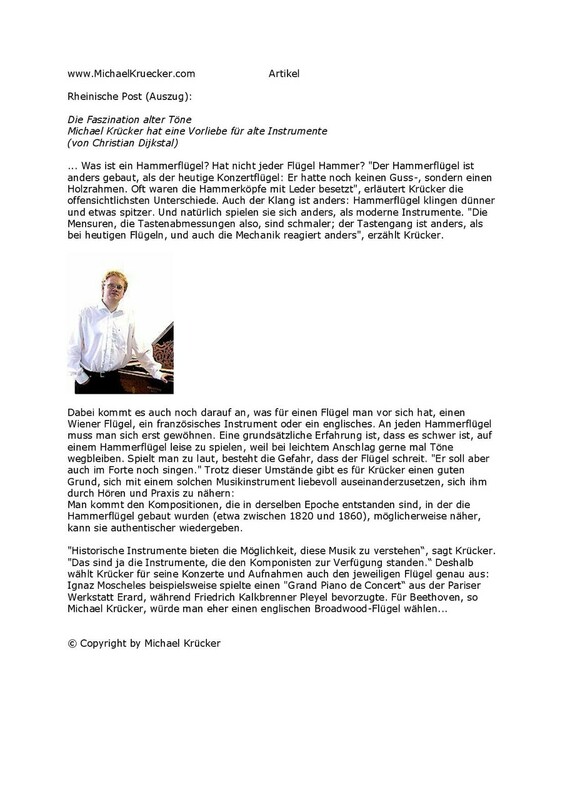 My personal involvement with the hammerklavier is based on the fascination of hearing, understanding and experiencing a sound as it was probably heard centuries ago, when it served composers as the basis for their creative work. In consequence, far from regarding period instruments as relics of a bygone age, I see them as the means by which to comprehend the tones as they were intended by the great masters. This authentic quality allows the compositions to be experienced as a more "original" and, as it were, "unfiltered" pleasure. 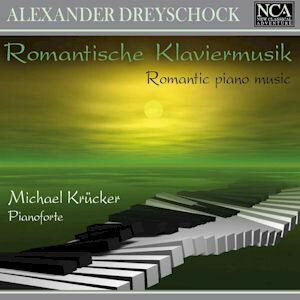 The word hammerklavier, or clavier, originally designated the same instrument as the "pianoforte" or "fortepiano". The term was first used by Beethoven as the German version of these two foreign words. 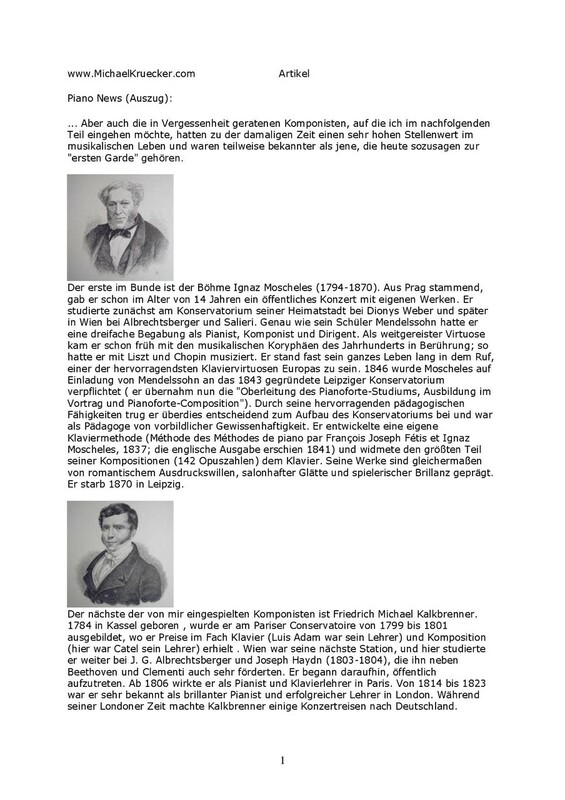 Today hammerklavier is understood to refer to the numerous different types of pianofortes (roughly between Mozart and Brahms) which preceded our modern pianos. 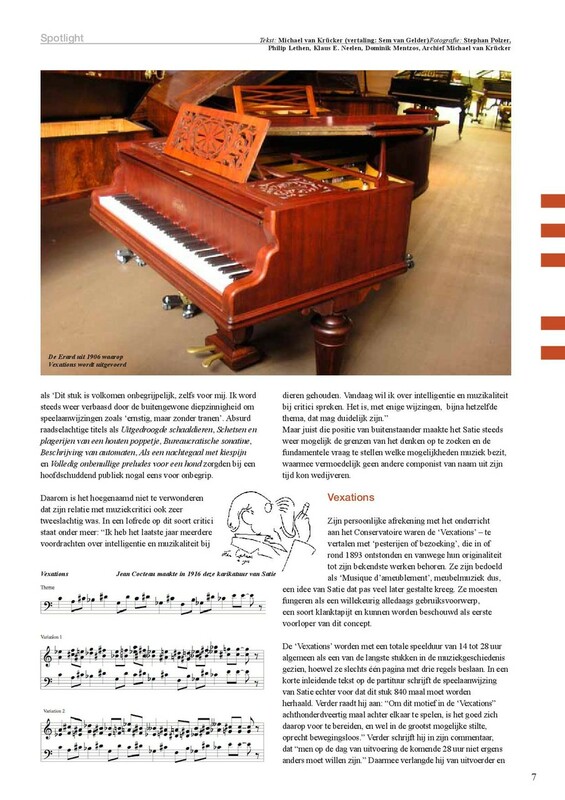 Whereas the early hammerklaviers of Mozart's day still sounded very similar to harpsichords (they were in fact built in almost the same way: completely in wood, with a thin soundboard and thin strings), their expansion in compass from five to more than seven octaves brought with it a corresponding development in tone volume. 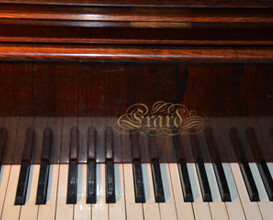 This in turn called for a stronger construction with thicker strings, larger hammers and stronger soundboards and finally led to the one-piece iron frame (about 1860). The leather hammer heads were also replaced by felt in an effort to produce greater sonority, a development which was prompted by and also led to greater virtuosity of performance. Classical and Romantic music was not written for our modern instruments. 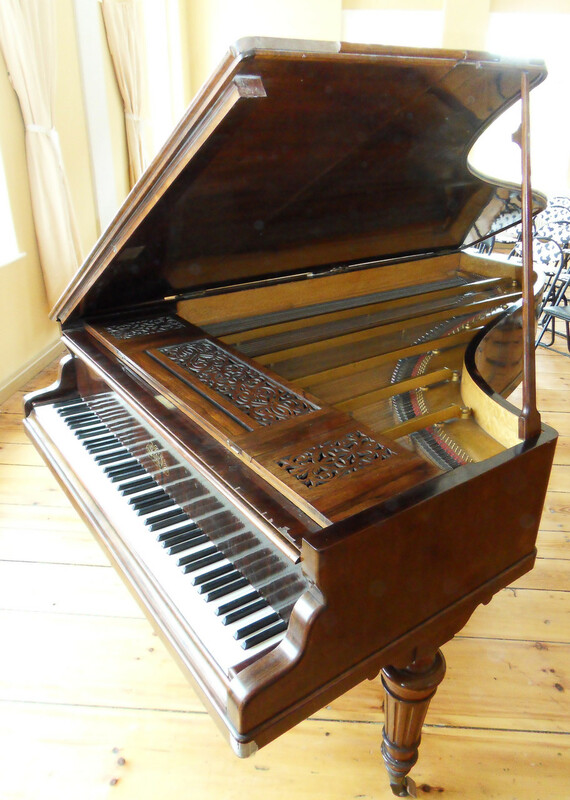 Mozart, Beethoven and Schubert, for instance, possessed claviers which differed greatly from today's modern grand piano. 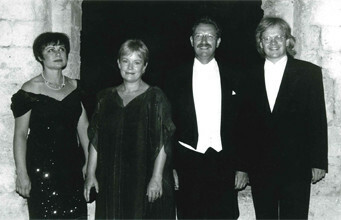 They composed for the instruments they had and, naturally, with a view to their particular expressive and technical qualities and possibilities. It would be wrong, though, to regard musical instruments of earlier centuries as imperfect predecessors of our contemporary ones. In their own way they are every bit as perfect as the music of their time. 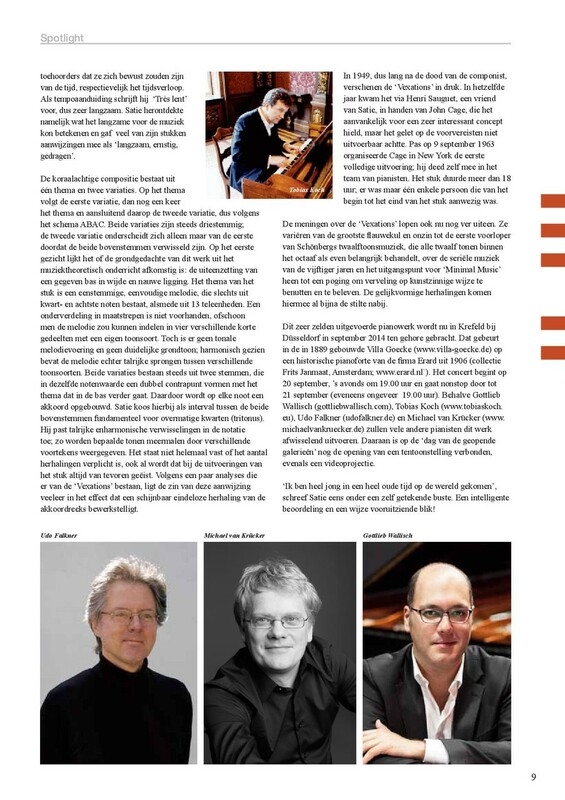 Indeed, the musical style of a composition corresponds to the sound of the instrument it was written for. 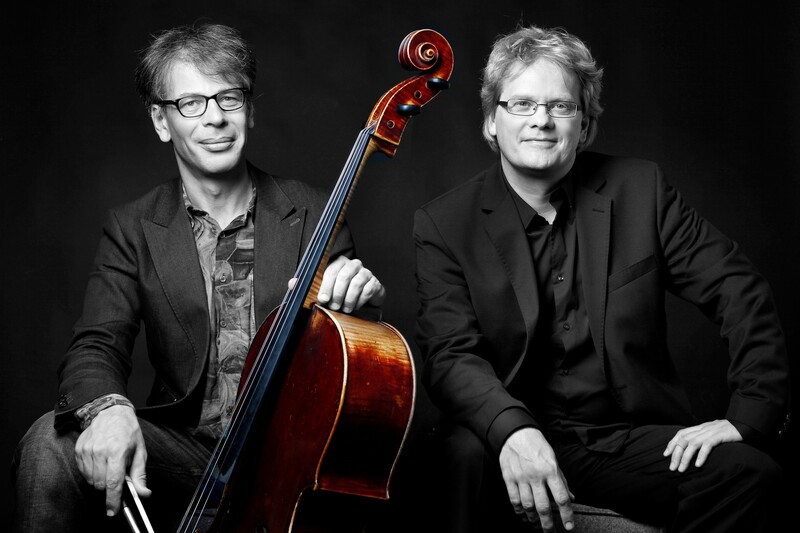 This insight, gleaned from an involvement with period instruments, the manner in which they were played and the performance they allowed, can contribute decisively to an understanding of the period pieces.